The birth of the .338 Lapua Magnum dates back to 1982, when an American company, Research Armament Industries, RAI, in Rogers, Arkansas, was asked by the United States Marine forces to develop a long-range rifle for sniper applications. RAI was a relatively small company, owned by the late Jerry Haskins, operating mainly in the field of defense technology projects. Officially, the project was to develop a target rifle for 1000 yards, but in reality the purpose was more likely to develop a 1500m sniper rifle. 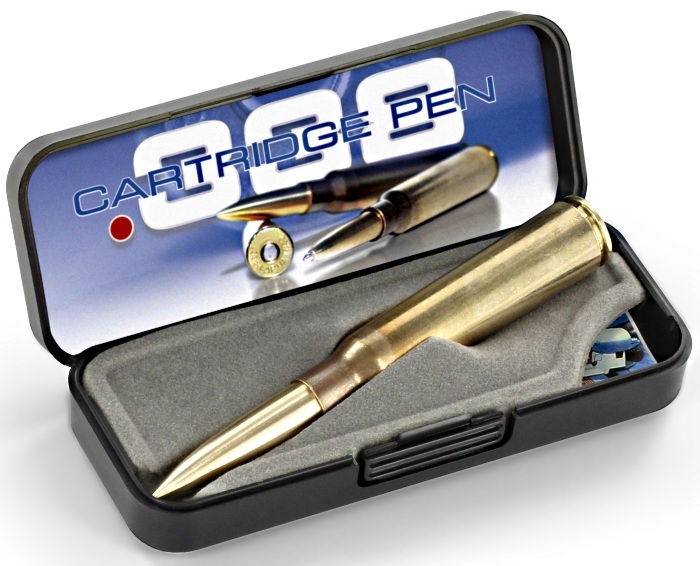 The cap for this exciting new Space Pen model is an actual .338 H Mag Shell. What a special gift for the hunter or outdoors enthusiast. Please note! This pen cap is RAW Brass, just as bullets are. That means there is no finish on the brass. Each one will have its own unique look. Over time, a nice patina will develop. 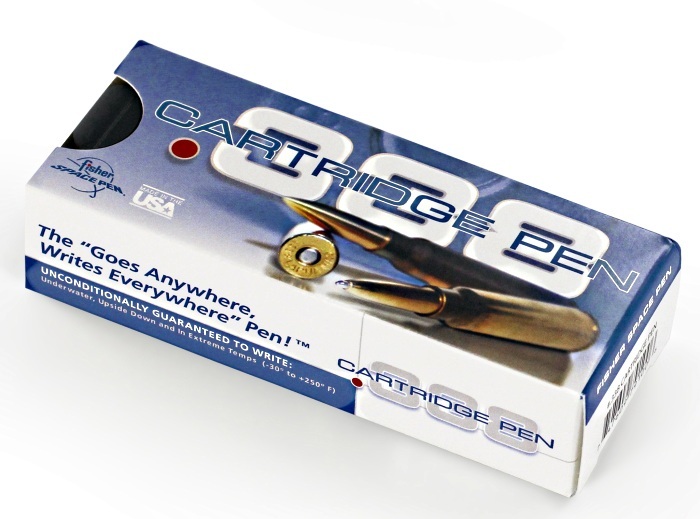 We recommend you never fly with your .338 Cartridge Space Pen. TSA sometimes won't believe it's a writing instrument! We want you to enjoy your Space Pen for a long long time. The .338 arrives in this Gift Box. Info about the Space Pen Refill is under the base. which squares the corners and makes for easy gift wrapping.